Our chapter does a bi-annual doll auction as part of our annual auction to raise money for both our Wee Care and Education Programs. I had every good intention in getting more made for the auction, but you know that road to he** is paved with good intentions. That is what my mother always said. Oh well. Onward and upward! 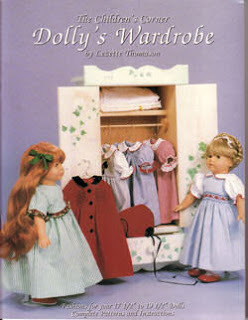 This year's dress came from "Dolly's Wardrobe" by Children's Corner. I used Marilyn. The dress is made from a poly/cotton gingham with a ribbon out of the ribbon tin. I have no idea what I bought either for, I was just glad they were both there when I needed them two days before the auction! 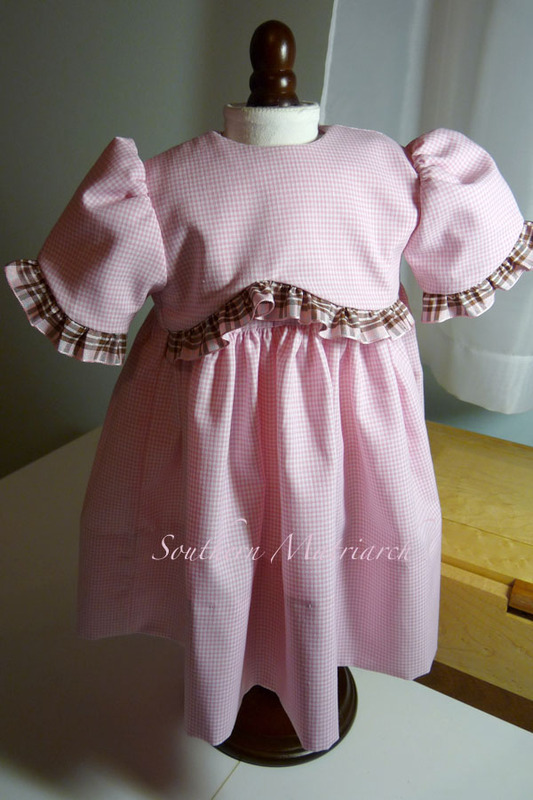 I have never made the full sized version of this dress but I do know you never could make it from corduroy. 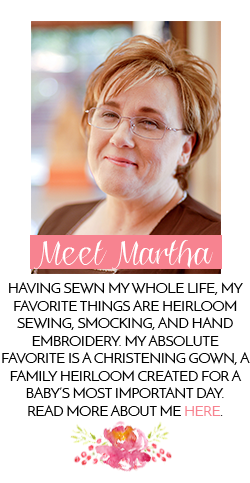 There are 10 layers of fabric where the sleeve meets the shoulder seam. TEN! 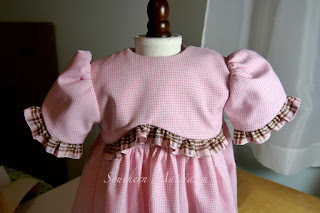 The bodice and bodice overlay are both lined as well as the sleeve being lined. Ten layers at the seam. That is a lot of layers. You may not be able to tell, but the overlay is reversed from the intended direction. I don't think the dolly or the dolly's little girl will notice. A simple dress but it was finished. 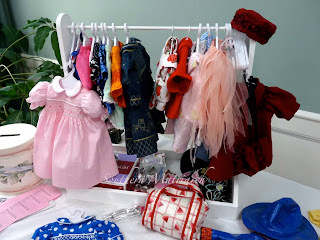 This is just a portion of what was made for the doll. There is quite a lot that isn't pictured and this is not the best picture. I apologize. This amazing ensemble was made by another chapter member. Anne G posted this picture on Facebook. The picture doesn't do it justice. 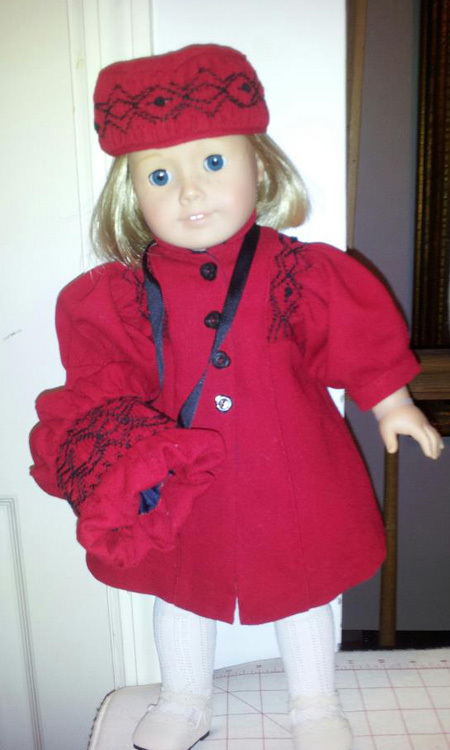 Gorgeous smocked coat, hat and muff. I didn't get a chance to make anything else for the auction but I made up for it in purchases. I have a couple of baby gifts now waiting for a lucky recipient as well as some delicious homemade chocolate covered marshmallows to share at Thanksgiving. Until next time faithful reader. That doll is going to be dressed marvelously! Bravo on getting your dress done in time! What a great seamstress you are! I wish I had the attention span to actually sit and follow a pattern to completion!